You might not think dehydrated toothpaste blobs are such a novel idea but keep in mind, every little bit of weight savings helps in lightening the load of your bug out bag — making for easier travel when you need it most. 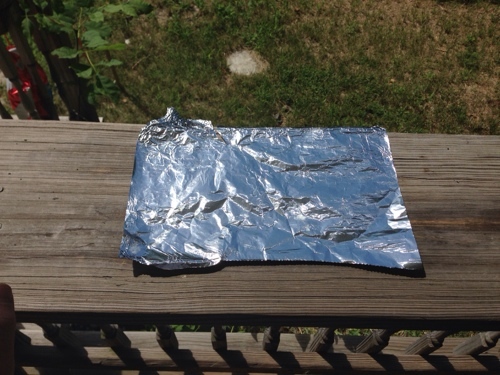 Step 1: Lay out some aluminum foil. 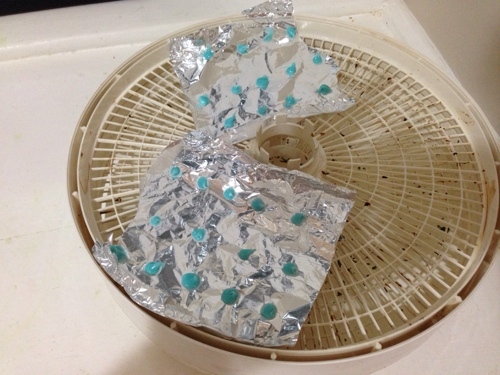 Step 2: Squeeze individual toothpaste dots on to foil sheet. 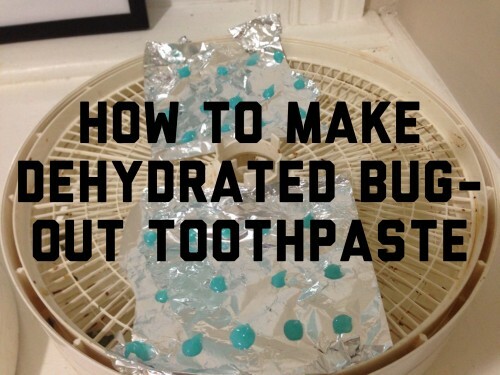 You should squeeze out the same amount of pasted you typically add to your toothbrush. 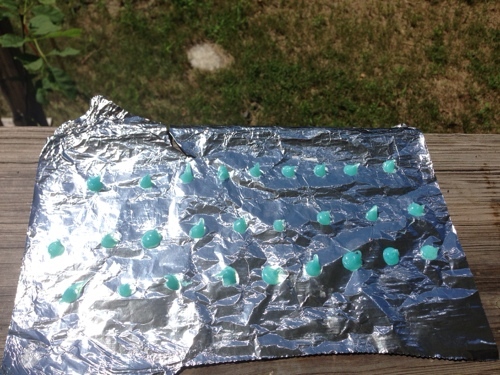 Step 3: Let it dry outside in the sun for about a day or two. 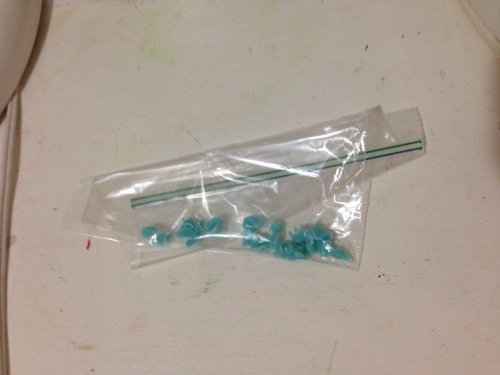 Step 4: Store them away in a Ziploc bag or other moisture resistant container and put them in your bug out bag. They should have the consistency and tacky feel of dried chewing gum. 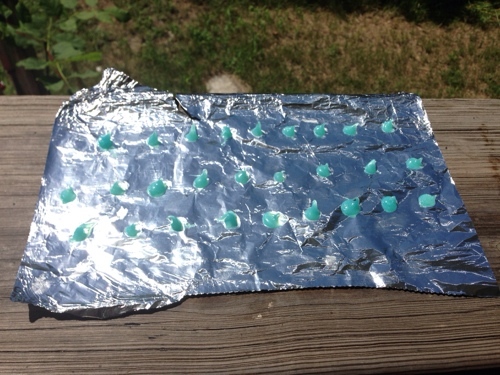 Also, if you’re worried about the dots sticking together, sprinkle a bit of baking soda in the bag or container and shake to sufficiently cover the dehydrated toothpaste dots. The baking soda is not harmful in any way but is in fact very healthy for your teeth. Step 5: To use, simply pop one in your mouth, mix it with your saliva and brush your teeth as normal. You could also add a little bit of water but I find my own saliva just as effective.